In recent years, solid-state lighting (SSL) has emerged as a promising new lighting technology that could fundamentally alter and improve lighting systems and significantly lower energy use and costs. However, SSL’s full performance and energy savings potential is far from realized or assured. The U.S. Department of Energy (DOE) has invested public funds in research and development to support advancements in the performance and energy efficiency of SSL technology, as well as a range of activities intended to increase the likelihood of rapid market uptake of new SSL products. The purpose of this book is to document early challenges and lessons learned in the SSL market development as part of the DOE’s SSL Program efforts to continually evaluate market progress in this area. 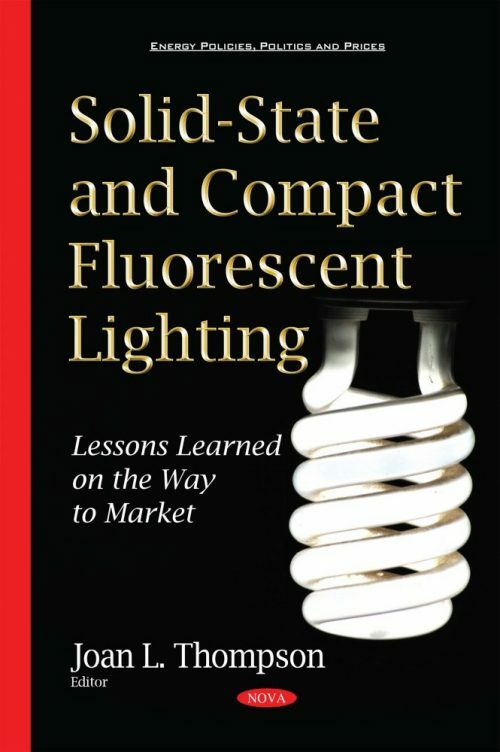 This book summarizes early actions taken by DOE and others to avoid potential problems anticipated based on lessons learned from the market introduction of compact fluorescent lamps and identifies issues, challenges, and new lessons that have been learned in the early stages of the SSL market introduction. Furthermore, this book reviews efforts to increase market acceptance of compact fluorescent lamps (CFLs) and barriers to that acceptance.